Along the TransCanada Highway 11, in the heart of Northern Ontario, you’ll find the town of Geraldton. Best known for its fishing and hunting, fittingly, it’s also home to the Castle Building Centres location “Got Wood”. Got Wood was founded in 2010 by local entrepreneurs, Stephane Parent and Lynn Gosselin. 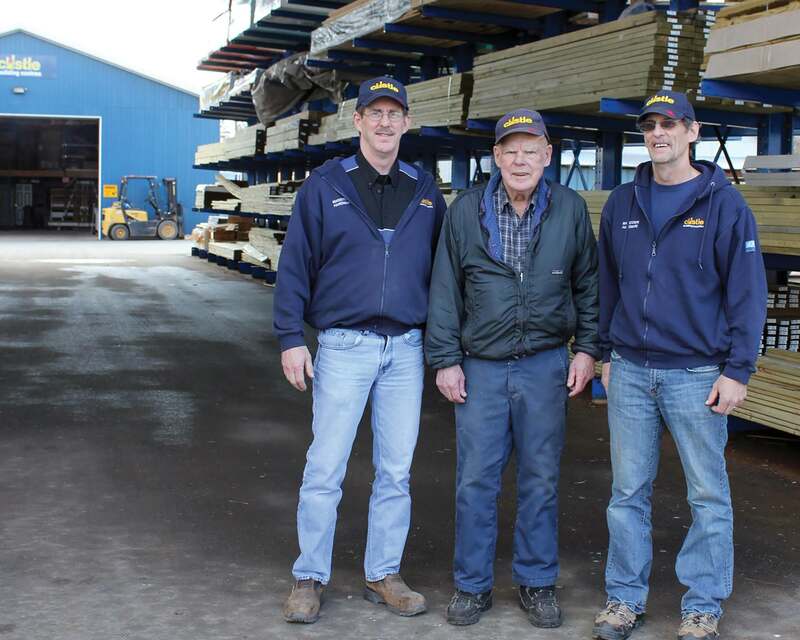 The business began as a small lumberyard catering to the local community and competed against a well-known building materials and hardware store close by. Like true independent entrepreneurs, Stephane and Lynn worked hard to grow their business and brand in the community and soon realized the key to continued growth would be to take on a nationally-recognized and respected banner. Becoming a Castle Building Centres location helped open new doors and expanded their reach through Greenstone municipality. Always on the look out for the next big opportunity, Stephane decided to take over the local Purolator courier service in his small Ontario town. 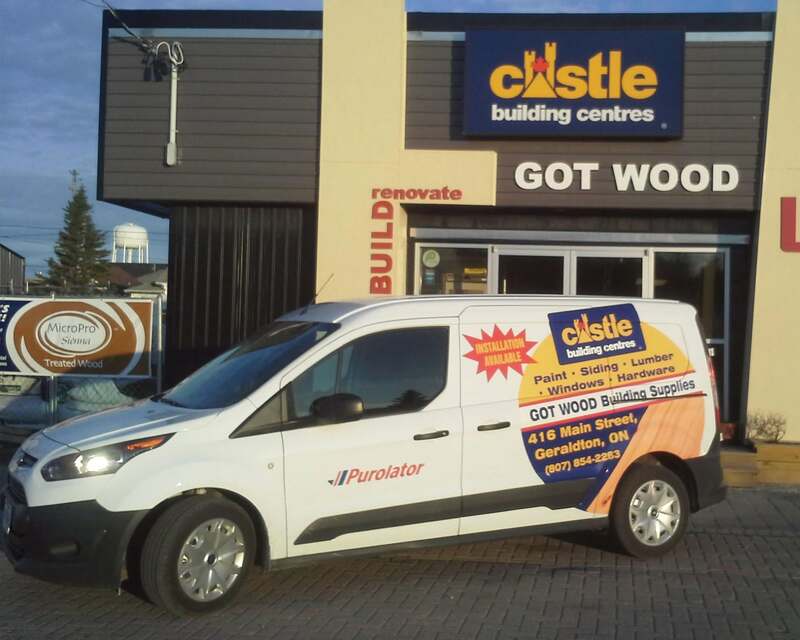 Stephane decided that this was also a great way to tie in a clever little marketing spin, so he added a Castle GOT Wood vehicle wrap to his Purolator delivery van for a little store promotion while driving through the town delivering to residents and local businesses. “This is a huge marketing success for us with minimal investment and the advertising is really working!” says Parent. Most recently, Parent and Gosselin encountered the next BIG opportunity. The larger home centre in town suddenly closed down leaving Got Wood in the unique position of being the only lumberyard in town. Overwhelmed at first, they quickly made the decision to purchase the assets of the former home centre and move their location into a new one; Geraldton’s former arena. The grand opening of the new store is scheduled for this spring and will feature a 10,000sq.ft store plus 20,000sq.ft warehouse space. Stephane and Lynn are confident they made the right decision and are excited to reach beyond the Geraldton region with this expansion. It will mean more business from northern communities, regional infrastructure, a local mining project and undoubtedly, more opportunity for growth. 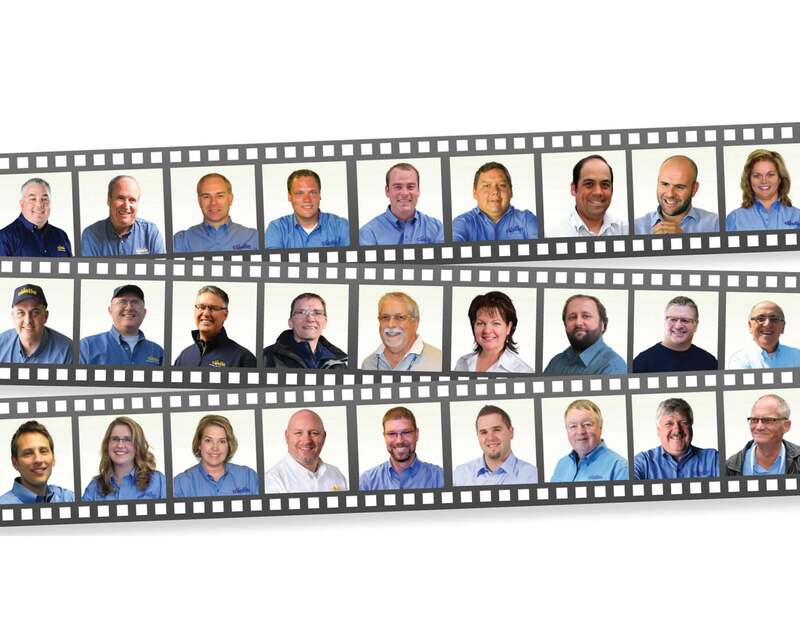 Castle is proud to be part of the Got Wood success story and is looking forward to the next BIG chapter!